Trey Anastasio has added an intimate show to his Langerado weekend. On Thurs., March 8th, the former Phish frontman will perform on the inside stage at Revolution in Ft. Lauderdale, FL. Tickets for this show go on-sale Friday February 2nd at 5PM EST BUT, they will ONLY be sold to those who have purchased Langerado 3-day festival passes by Friday at 10am. On Friday morning, Music Today will email special access codes to you if have already purchased Langerado festival passes. There is a 4-ticket limit for the Trey show and doors will open at 7 PM with the show starting at 8 PM. Please Note: Both Trey and STS9 are separately ticketed shows taking place at Revolution that night. For more information visit Trey.com, Langerado.com or jointherevolution.net. 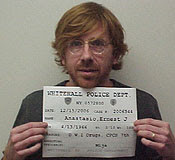 Trey Anastasio will appear for a live, onstage interview at the 92nd Street Y next Wed., Feb. 7 at 8:00 pm. The program will be moderated by Anthony DeCurtis, who is a contributing editor for Rolling Stone magazine. Trey will perform a few acoustic songs during the interview and answer questions from the audience at the conclusion of the program. Only a few tickets remain for this event and you can click here to purchase tickets directly from the Y.
Scroll down for updated presale information for The Killers, including the presale password for their L.A. show. The presale password for Kenny Chesney's concert at Ford Field in Detroit in August (8/18 to be exact) will be KENNY07. This is the second year in a row Chesney is playing Ford Field. The above is the alleged venue layout that will be used for this concert. Martina McBride will grace the stage of the Arena at Gwinnett Center on Saturday May 5, 2007. She will be anchored by Little Big Town and Rodney Atkins as supporting acts. There will be a presale for this concert on Thursday and the presale password is BLESSED. The free presale password for the radio station presale for Keith Urban's 8/11 concert at Worcester's DCU Center is WKLB. Good luck! There will also be a presale for the 7/26 Bradley Center (Milwaukee, WI) show tomorrow. That radio station password is WMIL. This show will take place just a couple of weeks after the Summerfest shows at Marcus Amphitheatre. For other cities, please click the "keith urban" label below. 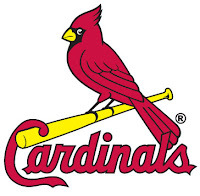 St. Louis Cardinals group tickets for Busch Stadium will go on sale Wed., Feb. 7th at 9 am CT via telephone only. Groups of 25 or more will qualify for several incentives, including: $5 off gate price in most seating areas; Group name in lights on the stadium scoreboard; Posters to promote the group outing; Access to 12 half-price nights that have been pre-determined for 2007. 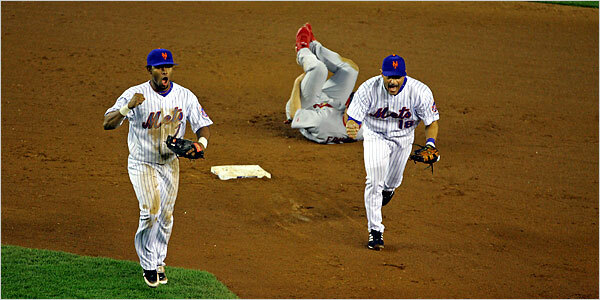 For full information on 2007 Cardinals group tickets click here. Don't forget, Yankee tickets go on sale today at 10 a.m. EST. All regular season games will be going on sale. The hottest games should be obvious, but check here for sleepers. The Killers will have a couple of free presales with generic free presale passwords on Thursday. They are listed below. PLEASE NOTE: IF THE PRESALE IS A TARGET PRESALE, THESE PASSWORDS WILL NOT WORK. The only way to access the Target presale is to go buy the CD at Target that says there is a presale code inside. These codes are scrambled characters and are unique, so there is no way around buying it. Good news is most cities will have a free presale later in the week. WaMu Theater in Seattle: SAMSTOWN in venue presale box. For instant updates on passwords for other cities, add us to your favorite feed reader or just download our ticket info toolbar here. Kenny Chesney Presales continue for the various stops on his summer Flip Flop tour. Tickets will go on presale for the Heinz Field show tomorrow morning through Ticketmaster.com. The password for this presale is FLIPFLOP. We have a feeling this password will be popular this summer. Norah Jones is going on tour this spring and there will be several presales for concerts in various cities. Unfortunately, if you have not purchased her CD from Target, you will be unable to get tickets through the presale. A unique presale code is printed inside the cover of every CD that has the "presale tickets" sticker on it and only these unique presale codes can be used to access the presale. We will keep a close eye for free Norah Jones presale passwords later in the week or next week. Please check back soon and download our toolbar to get instant updates on future Norah Jones presales. WARNING: We have been getting a lot of people who go out and buy the CD only to find it has no code. This is due to the fact that it wasn't one of the "special" CDs....please check the outside of the sticker for the note that says it has the presale code inside. It will save you 10 bucks or so. And shame on Target and Ticketmaster for not adding them to every CD or giving you some recourse if you bought the wrong one. 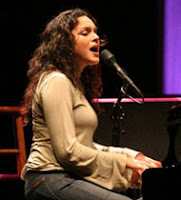 Try to find Norah Jones tickets below face value by clicking here. The Martina McBride presale for the Petersen Events Center in Pittsburgh and for the Nokia Theater at Grand Prairie will use the same password: BELLE. Good luck. 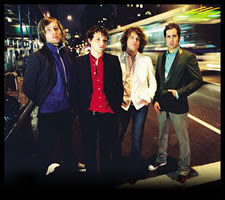 The Killers are going on tour and their concert presales start this week with a round of Target presales. In order to participate, you have to buy their latest CD from Target and get a unique presale password from it. There is no generic presale code for the Target presales. There may be more presales later in the week though, so please stay tuned. Keith Urban Presale Passwords for the fan club presale this week are unique. That means if you don't have one, it is too late to get it. The good news is that most of the Keith Urban concerts will probably have another presale later in the week with a free presale password. In order to get access to the upcoming presales, you can check back here to get the passwords later in the week. Please download our toolbar now so you can get instant updates delivered to your browser as soon as the passwords are announced. UPDATE: This is the case of all February 5th and February 11th-16th Target presales too...if they say Fan Club presales, there is no free password available from Ticketmaster and you will have to check back later in the week when the free presales start. Download our ticket toolbar now to get future Keith Urban passwords immediately. For more recent presale password information, click the keith urban label below. Today discounted tickets will be available through Ticketmaster for the Justin Timberlake show in Columbus, OH. The discount on these tickets will be $18.50. Select number of tickets under "SPECIAL OFFER" and enter the password "JT". *Valid beginning January 26th at 10am, for a limited time on select seats regularly priced at $53.50, while supplies last. Facility fee and service charges will apply. 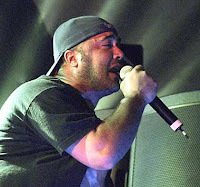 Aaron Lewis of Staind Presale Passwords. Aaron Lewis of Staind is going on a solo tour this spring and you can get your tickets to see him at the House of Blues in Anaheim before the general public. To do so, use the password HOB on Ticketmaster for the presale today. You can also get tickets for his March 6 show at the Pantages Theatre in Minneapolis by using the password ACOUSTIC. That presale also happens today. 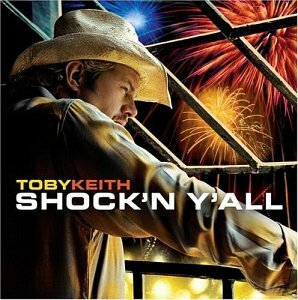 Toby Keith is going to be at Summerfest this year and he is having a presale for his Marcus Amphitheatre show today. The presale password is BIGDOG. Good luck with tickets! The presale for regular season tickets for the Yankees that starts next Monday is for season ticket and plan holders only. There is no generic presale password. Passwords are approximately 10 characters long and contain a random mix of numbers and letters. If you are not a plan holder, there will be no way to access the tickets. If you would still like to buy tickets today, we suggest you go to SeatSmart.com and compare yankee ticket prices and locations for Opening Day and Red Sox games. The Yankees may still be selling plans and season tickets. If you really want them, call now before the presale. Tuesday's presale is for Staten Island Yankees season ticket holders. This password is also a unique one. 1. Using every desktop and laptop at your disposal. 2. Using IE, Mozilla and Opera on each computer. Don't be one of those fools who complains Sunday morning that you had five whole windows open and never got through the Virtual Waiting Room. We'll tell you right now - if you only have five windows open, you will never get into the Virtual Waiting Room. It should take you between 15 and 60 minutes to get ready for the on-sale if you do it right, so start early....and yes, borrow your friends laptops if you can...use every computer you can to get through the Virtual Waiting Room. The presale password to get early access to presale tickets for the 2007 Houston Astros season for all games at Minute Maid park is OSWALT. Good luck. The presale passwords for Coachella, happening April 27-29, are DAYTRIPPIN, THEEND, INDIO. Use can use these for individual day passes or for the three day pass. Presales take place on Wednesday and Thursday. 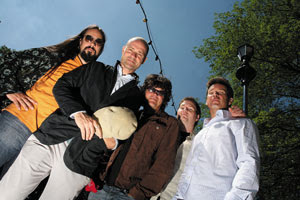 Headlining the event will be Bjork, Rage Against the Machine and the Red Hot Chili Peppers. Here is the full line up for Coachella. There are two presales happening for concerts at the Queen Elizabeth Theatre in Vancouver. DESTINY is the preasle password for the Tenacious D presale The presale takes place January 24 and the concert is on February 21, 2006. There will be a presale for the USA vs Ecuador soccer match today. Ther presale password is SPORTSMANSHIP. We have a couple of Martina McBride presales for tomorrow. The presale password for the following shows will be ANYWAY. They are both Ticketmaster presales. Then choose from among the remaining games to fill out your 20-game package. You can get all weekend games or all warm-weather games. It's up to you. Flex plan holders also get limited playoff ticket rights at the end of the season. It's the best deal in the Bronx if you are not a seaason ticket holder. There is no password for the on-sale. Just go here. Want to see which non-premium games are most likely to sell for a profit? Check here. Elton John will play Madison Square Garden on Sunday March 25. There is a ticket presale for this concert starting Monday at 9 a.m. EST. Tickets will go on sale through ticketmaster.com. The presale is an AMEX presale, so check out our AMEX presale information page for details on accessing it. Ticket on-sale information for the Floyd Mayweather Oscar de le Hoya fight on May 5 has been announced. Tickets will go on sale to the general public on January 27 at 10 a.m. through all Ticketmaster outlets. We do not have any word on whether or not there will be a presale, but stayed tuned as we will post updates as we get them. We do know there are not a whole lot of tickets left. Golden Boy Promotions claims that all but 3,000 of the available tickets for the MGM Grand bout have already been claimed by sponsors and the fighters two camps. There will be a two ticket limit for the two lowest price levels and a six ticket limit for the higher price tiers which go up to $2,000 face value. Some tickets are actually already on sale and you can compare ticket prices through our sponsor website, SeatSmart.com. Just click to do a real-time price comparion search: Compare de la Hoya Mayweather ticket prices. Ticket Toolbar for Apple Users! Well, as I understood it, all of us, clearly superior, Apple users were in the dark when it came to Ticket Hordes Ticket Toolbar. I was wrong. As long as you have the latest version of FireFox installed you can download and load the tool bar in the browser with no problems at all. 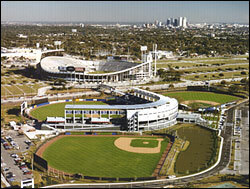 Spring Training tickets for the Tigers, Mets, Dodgers and Cardinals all go on sale to the general public this Saturday. Visit the team sites through MLB.com to get information opponents, ticket prices and game dates. Spring Training tickets for the Mets, Dodgers and Cardinals all go on sale to the general public this Saturday. Visit the team sites through MLB.com to get information opponents, ticket prices and game dates. 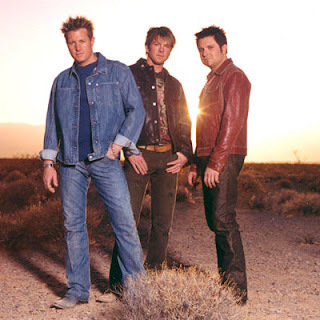 Rascal Flatts has a couple of presales going on today that will allow to buy tickets early for some of their summer concerts in Canada. Here is what we have so far. Stay tuned for more, possibly today and for sure over the coming weeks. The Muse presale password for their concert at The Forum in Inglewood, CA. is STARLIGHT. The Jamie Foxx Presale password for the Rose Garden in Portland is going to be RQFOXX. This is a Rose Quarter sponsored presale. The Portland show may or may not sell out, but Jamie Foxx tickets have been hot all over the country, so be sure to take advantage of this opportunity to get your tickets early. The Martina McBride presale passwords for her Saturday April 14 concert at the Rosemont Theater in Rosemont (Chicago), Il is ANYWAY. 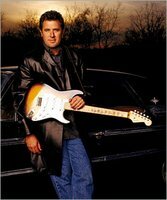 The presale for this concert takes place this morningat 10 CST. This show is one of many McBride has coming up this spring. Take a look here to see where else she will be visiting. The Rod Stewart Presale Passwords for this morning are all the same: BLONDE. The presales taking place today are for concerts at the Bradley Center in Milwaukee and the Ford Center in Oklahoma City. Both presales will be taking place on Ticketmaster.com. Good luck folks. If you go to http://www.palacenet.com/files/billyjoel_070112.doc you will find an order form for Billy Joel presale tickets for the Palace of Auburn Hills concert. This is a fax/phone order only presale and orders are being accepted now. Orders will be filled in the order in which they arrive. The Yankees have reportedly won the right to host the 2008 All Star Game and will thus, get to celebrate the end of Yankee Stadium with all of Major League Baseball. Hope you got your season tickets while you still could! If you have not downloaded the Ticket Toolbar yet, this would be a good time to do so as we just posted some exclusive Billy Joel presale info on it. For those of you who already use it, don't forget to check your messages ASAP as this is a time sensitive message! You can download the Ticket Toolbar here. New Search Technology Means Cheaper Football Playoff Tickets for Bears and Colts fans. Bears and Colts fans are finding an easy way to get ticket deals by comparing tickets for the NFC Championship Game and the AFC Championship Game before they put any money down. The trick is using the new ticket comparison search technology at www.SeatSmart.com. The search engine works similarly to Expedia.com or Kayak.com. You pick your game and let the site work for a few seconds. Then, you get a single list of ticket prices available from the most popular web sites on the internet. In some cases, fans have found tickets listed in the same row with a price difference of over $1,000 per ticket. That's savings of over $2,000 per pair! The ticket comparison search engine is also a great way to find which sellers are offering the cheapest tickets at any given time. When you compare tickets on your own on the internet, don't forget to add the service fees that most sites charge you. On SeatSmart.com, we add the service fees into each ticket listing so you can compare the true price of each ticket, ensuring you get the best out-the-door price. Compare NFL Playoff tickets and save now by clicking the links below. To inquire about sponsored listings, please TicketHorde through our gmail account. 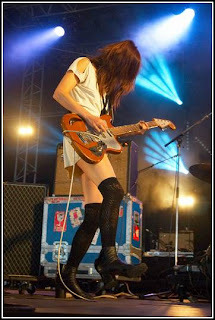 The Blonde Redhead presale password for the Moore Theatre in Seattle is KEXP. The Zombies and Ian Hunter along with special guests the Charms will play the Grove of Anaheim in Anaheim, CA on Sat, Mar 17, 2007 at 8:00 PM. You can get your tickets early through a special Grove presale that starts today. You will need the password BRITISH to access the presale. The presale password for the Tragically Hip concert at the Moore Theatre in Seattle, WA is HIP. Tickets will go on sale Wednesday January 17, 2006 and the concert is March 29, a Thursday night. The Billy Joel presale password for the Air Canada Centre in Toronto is UPTOWNGIRL. The presale is Wednesday morning and the show is Friday, April 20. A Friday night show in Toronto for Billy Joel will likely be a sold-out concert, so be sure to take advantage of this presale opportunity. Update: There will also be an HOB presale for which the password is PIANOMAN. Good luck Ticket Hordes. The Moody Blues public on-sale is Sunday, January 20 at 10 am, but you can purchase presale tickets beginning Wednesday, January 17 at 10 am. Use the link below and enter the presale password SEESAW. This presale ends Friday, January 19 at 5 pm. To purchase tickets, click here. It is an evenue presale. 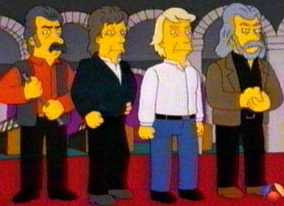 For over thirty years, The Moody Blues have been musical mainstays on concert stages, recordings and the airwaves. Their remarkable consistency has generated the sale of over 55 million albums and created a standard for classic rock music which has brought them numerous awards and a priceless place in rock history. They are a huge hit with Baby Boomers and younger fans alike. The Chicago Bears will put NFC Championship Game Tickets on sale Tuesday morning. The link is here. We have not confirmed the password but all Bears presales for as long as we can remember have used the passwords BEARS, WHITESOX, BEARS1, CHICAGO, etc. (Search our old posts for others.) Try these. If you try one password and is sold out, try a different one. In the past some have worked right away and others not until after a couple of minutes. Don't be afraid to go back and try ones that didn't work a second time. Good luck. If you don't get any tickets, you can buy them here. You will likely pay over face value, but the transaction will be safe. Try getting them through the presale first. You never know! Mets Seven Packs just went on sale. Each pack of seven games has either Opening Day or a Yankees game in it. This is not a presale so there is no password required. Just go here to purchase tickets. You can check markets here. Pay attention to game days...there is one pack that has all Friday games and the others are primarily weekday games. The main floor of the Pasadena Civic has 1,922 fixed seats with 98 installable orchestra pit seats. The loge seats 560, the upper balcony seats 449 for a total capacity of 3,029. 9,000 tickets for Morrissey in Southern California isn't really that many. UPDATE: Thanks Mark for passing on the password: RINGLEADER. We have confirmed this to be the password. WWE Smackdown and ECW action will descend upon the Key Arena in Seattle on February 13 and you can get your tickets early by visiting Ticketmaster this Friday morning. There will be a presale for the event starting at 10 a.m. Tickets will be made available to anyone who enters the password KUBE or KISW into the presale password box. There should be some pretty good tickets available. Good luck. The Shins will play McMenamins Ballroom in Portland on Wednesday, February 21. There will be a presale for this show tomorrow morning at 10 a.m. PST on Ticketmaster. You will need the password PHANTOM to access this presale. Good luck. The presale password for their Orpheum Theatre concert in Los Angeles will be SLANG. 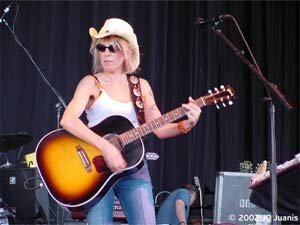 Lucinda Williams will be rocking Radio City Music Hall on Friday night, March 23. She will be having a presale for this concert Friday morning at 10 a.m. through Ticketmaster. The presale password for this show will be BAWEST. BRWEST should also work, as should BKWEST. LUCINDA07 will also work. There will probably not be much difference in the ticket quality based on the password you use, so just any one. Good luck! Incubus has added tour dates to their North American run of shows for this winter and have added a full on European tour. Here are the latest tour schedules for Incubus. Be on the lookout for presale information. European and other tour dates for Incubus. We've gotten pretty consistent feedback on the new posting format after just a day and we agree there is a disadvantage to it that we did not really consider. It appears many of our readers use the site as a way to find out about presales that are happening rather than finding passwords to presales they already know are happening. That's enough to outweigh any benefit from the other system, so we are going switch back to save you the trouble of having to check individual posts for updates. It is unclear at this point what this will mean for us. Whatever happens, it will be most interesting to see where on the spectrum from non-integration to full integration the two sites fall. It doesn't seem to make sense that eBay would replace one platform with the other, but one never knows. At a minimum we would probably see some cross marketing which would make both sites more visible to each others customer lists. Though a conglomeration this big may make some day sellers nervous, we like the idea of having a strong, unified company on our side to battle Ticketmaster in their quest to monopolize secondary market resale. For those of you that have been following it closely, Ticketmaster is making bed-fellows with law-makers in various states to write laws that would prevent any from re-selling tickets to an event UNLESS the reseller was under contract with the original venue. We will keep an eye on this situation. Feel free to add you comments below if you have any. 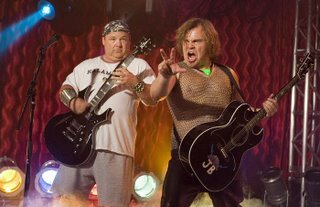 All Tenacious D Presale Passwords for west coast shows going on presale today (1/11/07) are DESTINY. 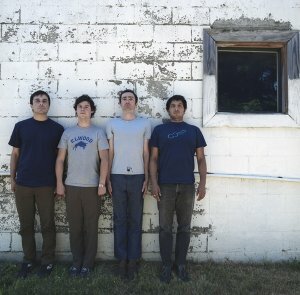 Tickets will go on sale for the Seattle, Portland and California shows. Good luck. The WWE Raw presale password for the Rose Garden event on February 12 is RICFLAIR. Good luck getting tickets. The Vince Gill presale password for the Orpheum Theater in Sioux City, IA is REASONWHY. The Orioles will put tickets for all regular season games on sale this morning at 10 a.m. The presale password will be 9072. Tickets will go on sale through Ticketmaster, not through evenue as they once did. 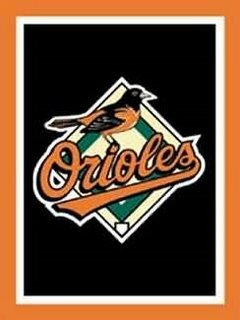 The highest demand games for the Orioles are games vs the Red Sox, Yankees, Nationals and of course Opening Day tickets. Good luck! Buy tickets here. Check markets here. Over the past couple of months we have been dealing with an inordinate amount of questions asking for information that is already posted on the blog. Without boring you with our theories as to why this happening, I would like to explain a couple of changes that we are going to start experimenting with. We expect these changes will have the greatest impact on our regular readers because they will have to adjust the way the use the blog a little bit. It will not make the blog any harder to use - just different. The basic change we are going to make is that we will start trying to limit posts to one per artist per tour. So, rather than having five posts that say the Wiggles presale password will be WAGS, we will have just one post that will state that WAGS is the password and then list any exceptions. This will prevent a lot of confusion that is currently leading to us getting so many e-mails. The good news is readers will know exactly where to look for updates on a particular tour without trying to figure out if there is newer information, etc. This means regular readers may have to scroll down past some posts they have already read to get updated info. We have made two changes that will help with this process. 1. Images - we have begun to add images to almost all of our posts. We will be sure to do this with all artists we anticipate will have multiple announcements so you can find them easily. 2. Search boxes. We have added two search boxes for you to experiement wtih. THESE ARE NOT THAT GREAT YET - WE REALIZE YOU ARE ONLY GETTING OLD POSTS AT THIS POINT. They will not be good for finding the most recent posts until we can figure out the best and quickest way to get site updates indexed by Technorati and Rollyo. We are working on this. For now, it is a good way to find old posts and old passwords that may work again. Please send any feedback on likes / dislikes with the new system to TicketHorde followed by the @ sign and gmail.com. The first of three Houston Rodeo presales starts today. Today's presale is for volunteers who help work the Rodeo. This is always the first presale of the year and we have never been able to crack it. It's rare that we don't crack a presale that is crackable, so we believe these are likely unique presale passwords. There will be a free presale with a generic password later in the week though, so if you don't get anything for today, check back here tomorrow morning. For ease of return, you can add us to one of your feedreaders by clicking the links in the right-hand navigation or just download our presale ticketing toolbar here. UPDATE: Thanks to the reader who passed on the possible password RELIANT for today's free presale. The Martin Sexton Presale password for his show at the Nokia Theater in Times Square is AMEX. You need an AMEX card to participate in this presale. The Martin Sexton Presale password for his show at the House of Blues on Sunset Strip in Hollywood is HOB. 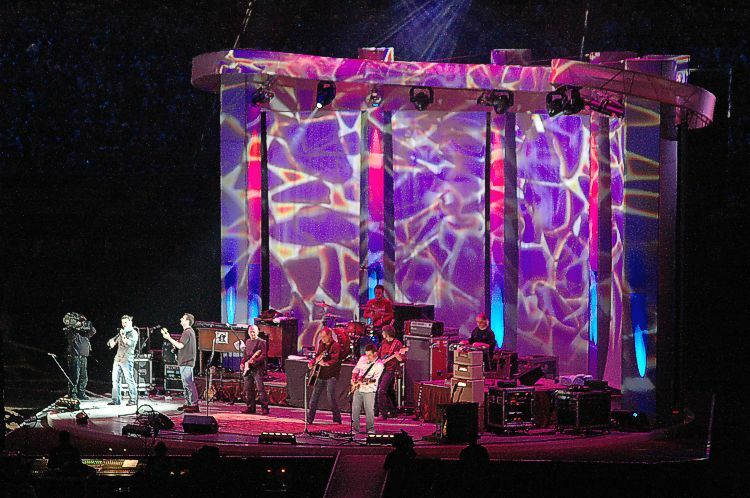 His 2007 spring tour is currently slated to hit seven cities. Only the Sunset strip show has a presale. Many of the other concerts will go on sale this Saturday. 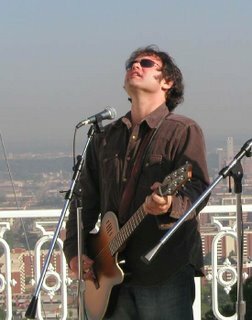 Martin Sexton, a singer song-writer, is probably most well known for his mesmerizing guitar skills, though many people will tell his voice is what makes him so powerful. 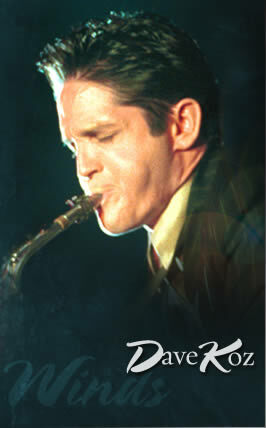 A product of Syracuse, NY, Sexton made a name for himself playing on Harvard Square in Boston and in clubs throughout Boston. 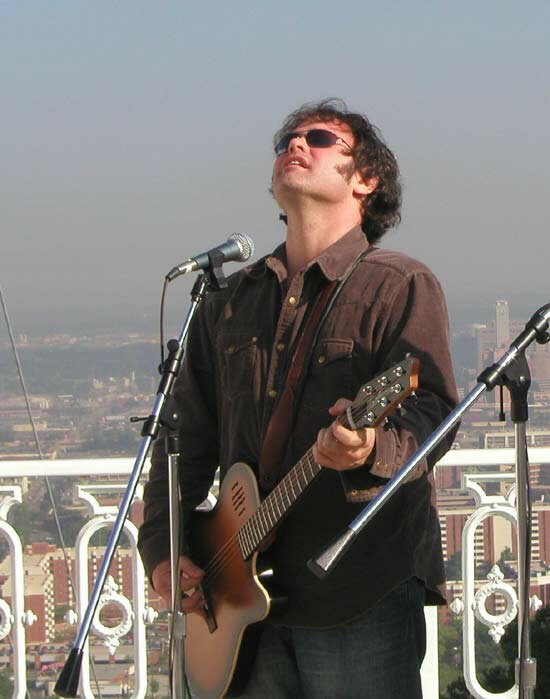 Sexton's musical influences include Stevie Wonder, Led Zepplin and Willie Dixon. Even more eclectic is his following. 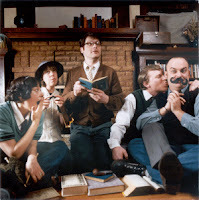 A typical Martin Sexton show will feature a true cross-section of the U.S. population: from Wall Street bankers to old hippies to frat boys and everything in between. 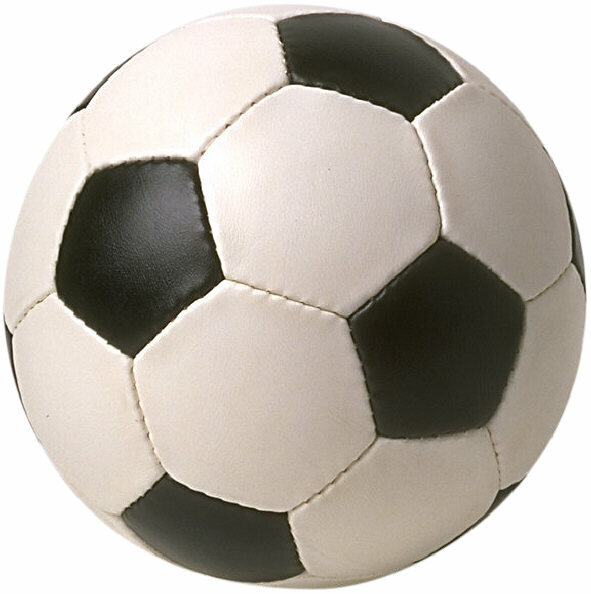 The USA soccer team will face off against Guatamela in an international soccer match up at Pizza Hut Park in Frisco, TX on March 28. Tickets for the event will go on presale today at 10 a.m. CST. The presale password is BREAKAWAY. The presale happens on Ticketmaster and you can buy tickets here. You can also check the market for the Mexico vs. USA soccer game here. 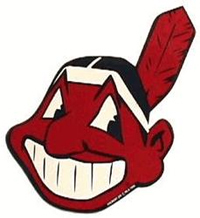 The Cleveland Indians will have a presale for Spring Training tickets today. The presale password will be PRONK and the presale will be for all games happening at their Grapefruit League home Chain of Lakes Park in Winter Haven Florida. Below is the complete Cleveland Indians 2007 Spring Training schedule. The Taking Back Sunday Presale Code for the Wachovia Arena in Wilkes-Barre, PA is LIAR. 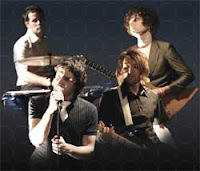 The Taking Back Sunday tour is slated to start February 22, 2006 and will cover about 20 cities throughout Canada and the United States, ending at the Tsongas Arena in Lowell, MA. Tickets for most shows are on sale now throught Ticketmaster. The public sale for the Wachovia Arena show is Saturday. The Wiggles presale passwords for today will be WAGS for all venues. There are multiple shows going on sale in many places. If you believe your target city may have a different password or if WAGS doesn't work on your presale, please click the "Looking for something else" link at the bottom of this post. We will post any exceptions to the WAGS password as a separate post between 1-12 hours before the presale actually happens. All Doodlebops presale passwords for today will be ZXA. There are many shows going on sale in many places. If you believe your target city has a different password, please click the "Looking for something else" link at the bottom of this post. We will post any exceptions to the ZXA password as a separate post. Xcel Energy Center has announced that Billy Joel will return to the stage for one night only at the Xcel Energy Center on Wednesday, May 9 at 8:00 PM. In 2006, Billy Joel launched his first solo worldwide tour in more than 7 years. The tour broke house records along the way, including an historic and unprecedented 12 show, sold-out run at New York's legendary Madison Square Garden. The presale password for the Sears Centre show is ENDLESSWIRE. On January 10th, there will be a Platinum Members Presale for The Who concert on Monday, Mar. 5 in Chicago, IL at the Sears Center. Presale tickets are available at TheWhoTour.com for this new concert. Passcodes for the presale are distributed only once the presale goes live. 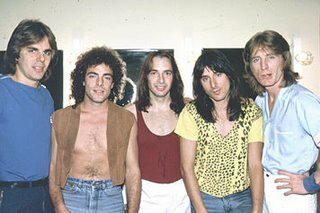 For info on how The Who Tour Platinum Member Presales works, check out thewhotour.com. Season Tickets for the Mariners were just released and there is some availability near home plate in the back rows (quite far back.). There are also some Row 1 tickets available in the cheap and popular left field bleachers. Here is the link to buy tickets and the link to check the market. SOUL is the presale password for the Mystic Lake Show. Good luck. Today's password for Angels spring training tickets for all games at Tempe Diablo Stadium is HALOS2. This is the second round of presales, so this spring event inventory is probably thinning out a bit. Good luck. 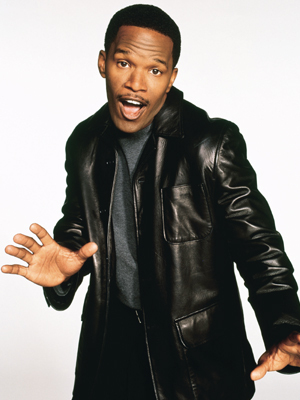 All Jamie Foxx presale passwords for shows going on sale for 2007 shows are FOXXLIVE07, unless otherwise noted. Click the Jamie Foxx label on the right to see if any new information has been posted. Foxx, an actor-musician-comedian is probably most widely known for his role as Ray Charles in "Ray". His first big job, however, was on In Living Colour and he has since gotten name recognition with his television sitcom "The Jamie Foxx Show." It is sure to be a great show. Good luck getting tickets. The Dave Koz and Friends Presale Password for their Valentine's Day show at the Beacon Theater in New York City is CD1019. The presale is Thursday and the public sale is Friday. The former Arsenio Hall house band member is on the verge of releasing his 10th CD entitled "At the Movies" at the end of the month. Koz holds a fine distinction in that he was named one of People Magazine's 50 most eligible bachelor's two months AFTER coming out in 2004. Let's give it up for the mainstream press. 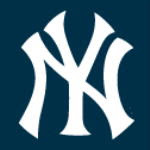 New York Yankees Spring Training tickets go on sale Saturday at 9 a.m. EST. Yankee fans will have the return of Andy Pettite to look forward to. Tickets will go on sale through all Ticketmaster channels: phone, outlets and on-line. March 1 Twins 1:15 p.m.
March 3 Pirates 1:15 p.m.
March 5 Tigers 1:15 p.m.
March 7 Reds 7:15 p.m.
March 9 Devil Rays 1:15 p.m.
March 11 Indians 1:15 p.m.
March 13 Reds 7:15 p.m.
March 14 Twins 7:15 p.m.
March 15 Braves 7:15 p.m.
March 18 Pirates 1:15 p.m.
March 20 Phillies 7:15 p.m.
March 24 Blue Jays 1:15 p.m.
March 26 Phillies 1:15 p.m.
March 28 Astros 7:15 p.m.
March 31 Tigers 1:15 p.m. The presale password is BLACK. The presale starts at 5 p.m. EST for the Pompano Beach Show. Here is the link. All tickets for Anaheim Angels spring training games at Tempe Diablo Stadium go on sale today at 9 a.m. Tempe time. The password is HALOS1. The presale password for these two shows is JAMES. Presale tickets for the Cumberland County Civic Center Toby Keith concert go on sale Wednesday, January 3 at noon local venue time and end Friday at 5p.m. EST. The concert will take place on January 27. The general public sale for this show is Saturday, Jan. 6. You must be a member of the Toby Keith fan club to participate in this presale. You can join here. Happy New Year everyone and thanks to all of our loyal readers who started out with us in 2005 and 2006. We appreciate your continued patronage and all of the kind words you have sent our way. The holiday season is now officially over and while most of the country is dreading the return to work today, we know our readers like this time of year. With December typically being a very slow month for on-sales, January tends to be the start of a very busy time leading into summer - the busiest season of the year for concerts. We wish you all the best of luck in your pursuits for the coming year. The presale password for Fall Out Boy at the Hard Rock Cafe in New York is TICKETS. The presale starts today.